If your IPhone screen turns totally white and isn’t showing any apps and icons, you may be facing a problem called the IPhone White Screen of Death. Don’t worry, it does not mean that life of your phone is over. There are various solutions that can help fix this problem and ensure that your device returns to its normal functionality. Before we move on to the solutions let us first have a look at the causes of white screen of death. 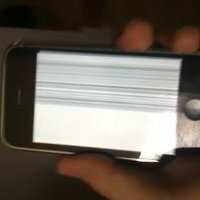 Hardware Problem: The cable that connects the IPhone’s motherboard to the screen becomes loose or just breaks causing the screen of the phone to turn white. The connector can also become loose if your phone drops. Failed Software update or jailbreak: When update of IPhone’s operating system fails or when trying to jailbreak your IPhone fails leads you to see White Screen. Hard Reset the IPHONE: Restarting Your IPhone is the best step in troubleshooting process. When you face a White Screen a hard reset is needed. To perform a hard reset Hold Down Both the home button and the on/off button at the same time, keep holding until the screen shows the Apple logo then Let go of the button. Hold Down Home+Volume Up+Power: This is another combination of buttons that can do the trick. Holding these buttons all at once and holding it till the screen turns off and the Apple logo appears again and then let go of them. The IPhone will get normal. DFU Mode and Restore From Backup: If nothing works putting your IPhone into DFU (Disk Firm Ware Update) mode is the right option. To implement it you have to Connect your iPhone to your computer press the sleep/wake button for 3 seconds, press both on/off and Home Buttons for about 10 sec, let go the on/off button but keep pressing the Home button for 5 sec after this if the screen turns from white to black your phone is now in a DFU mode from here ITunes can be used to restore the iPhone from backup. Even after all these steps if the problem is still there, it means that you will have to look for professional help. You can contact Apple for technical support or speak to an expert who can help you get over the White Screen of Death on your iPhone.